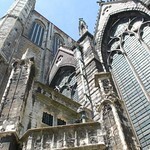 The magnificent triptych, ‘The Adoration of the Mystic Lamb’ in Ghent's St Bavo’s Cathedral is given a facelift from 19 April until mid-November 2010. Art lovers can still visit this masterpiece by the Van Eyck brothers during the restoration process and thus follow the work of the restorers. 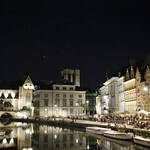 Coming up from October 12th-23rd : the Flanders International Film Festival Ghent ! 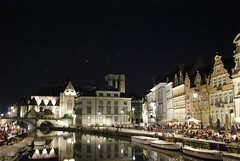 With its focus on film music, the Ghent Film Festival has its own unique place in international festivals. Every year, the festival organises film music concerts, giving composers of film scores the platform they deserve. 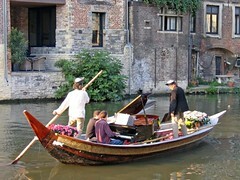 Composers such as Ennio Morricone, Gabriel Yared, Elmer Bernstein, Michael Kamen, Patrick Doyle, Howard Shore, Georges Delerue, Hans Zimmer, Maurice Jarre, Craig Armstrong, Harry-Gregson Williams, Michael Danna, Gustavo Santaolalla are some of the many film music legends who have already taken the stage at Ghent. 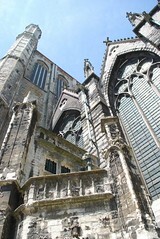 The International Flanders Festival Ghent opens with OdeGand. 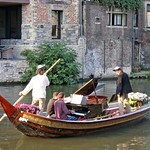 On and alongside the canals music, animation, art and spectacle spoil the music and art lovers. Dazzling fireworks above the canals finish it off !